Music is an integral part of our worship service. Our organ is featured during service on the first and third Sunday of each month, as well as on special events or holiday worship services. 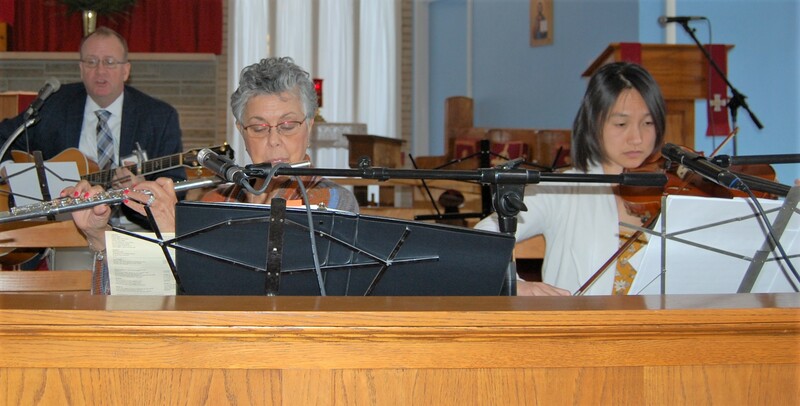 On the second and fourth Sundays, our service combines traditional hymns and contemporary Christian music (including today’s hits as heard on 99.1 Joy FM) provided by St. Luke’s very own Praise Ensemble. This lively band is made of parishioners who are excited to share their musical talents of varying degrees. The band is open to all who are interested in serving Him through the music. Contact the office for more information on joining. Wondering what the heck the Episcopal Church is about? Check out the information we’ve gathered in our “About the Episcopal Church” page, or stop in for a visit and attend one of our services. We’d be delighted to show you what St. Luke’s and the Episcopal Church are about!